Again London was visited but this time we borrowed Eileen’s father’s wagon. This was our third trip to the Afghanistan Embassy and to everyone’s surprise we managed to acquire visas, unfortunately some of us have to pick these up on Friday and others on Monday. This meant that we had to change our leaving from Monday to Tuesday; fortunately we managed to do this. After tea Johnny accounted for a lost £100 we thought we had in the expedition funds and a rather perplexed evening was spent sorting out our finances in a way that would still leave us with £100 apices when we reached the Afghan boarder. The original idea for the expedition was conceived during the three month Northern Explorations Groups trip to Artic Norway in 1968. 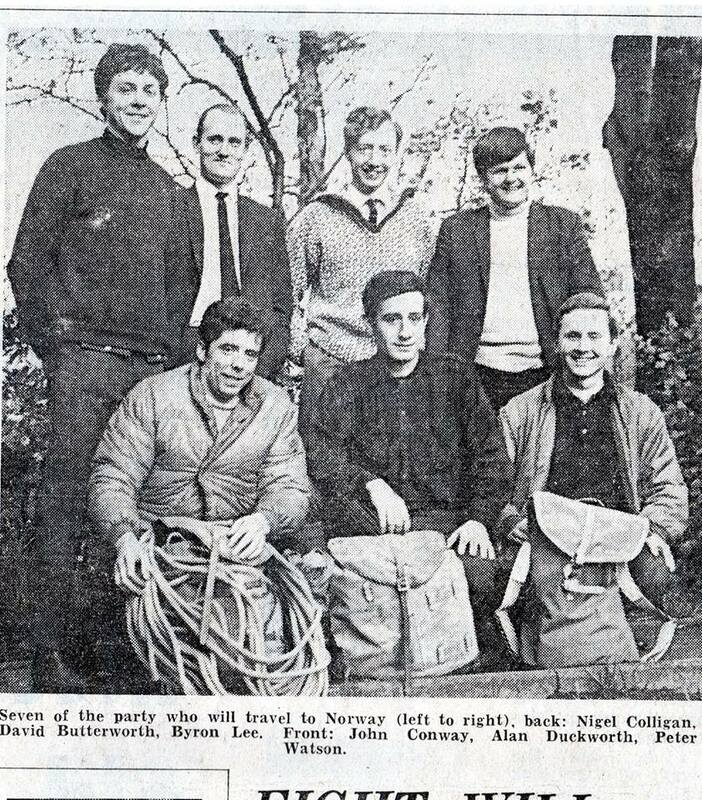 Below is a newspaper picture of seven of the members, Rod Plant is not on this pic but was a member. 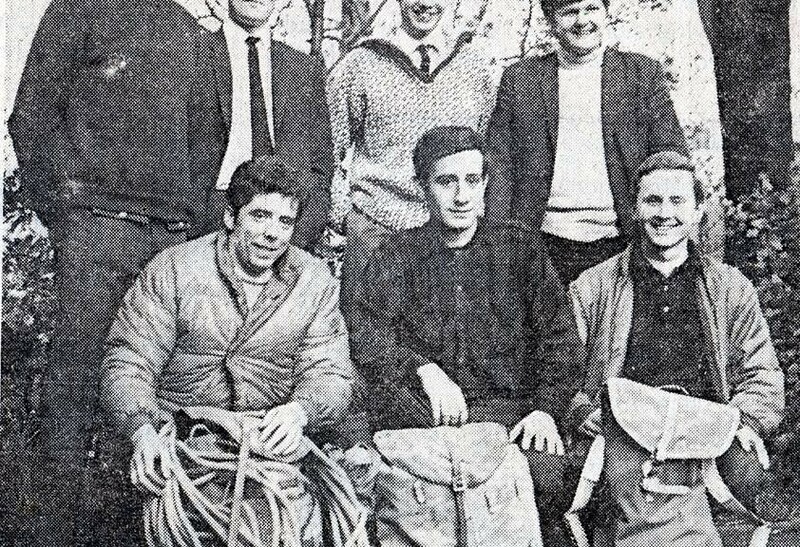 Three of those in the pic also went on the Himalayan Expedition, namely Dave Butterworth, My self and Keith Summerfield far right of the back row who’s name for whatever reason was not mentioned. Also on the Norway expedition, but not on the news paper pic, was Geff Dean and Trevor Dearden, Trevor was also on the Himalayan Expedition. Previous PostDay 3. Tuesday 4th August 1970 – EnglandNext PostJohn Conway. Himalayas by bus. The background.